Well, it depends on who you ask. The Ministry of Religions obviously thinks so. Look at how the IDF gerrymandered the Separation Fence deep into Bethlehem to leave our Matriarch Rachel in Israeli territory. 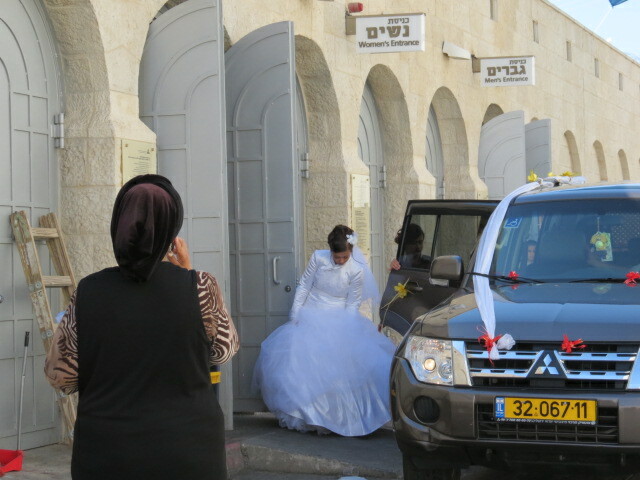 The Bible says: “And Rachel died, and was buried on the way to Ephrath, which is Bethlehem. And Jacob set a pillar upon her grave: that is the pillar of Rachel’s grave unto this day.” — Genesis 35:19-20″. However in the period of the Bible there were three Bethlehems: one in Judaea south of Jerusalem, one in Benjamin north of Jerusalem and another one in the Galilee. It is plausible, as many scholars believe that Rachel died near Ramah, modern Al-Ram north of Jerusalem. For Muslims, the present site is the Bilal bin Rabah mosque ( مسجد بلال بن رباح‎). For centuries this small religious building encased in concrete was revered by Jews, Christians and Muslims. The tomb is located within a Muslim cemetery. Rachel is considered the “eternal mother” who cares for her children in distress. The Tomb is visited especially by barren or pregnant woman. At the entrance to the tomb you can buy a red string to be worn as a charm for fertility. Entrance is free, but modest clothes and head covering are required. I remember after the Six Day War, we were able to freely travel to Bethlehem and Rachel’s Tomb. One could stop for a cold drink in a local store or purchase some trinkets in the market. When local Arabs began to throw stones at visitors to the grave site, a small wall was built to protect the Tomb. Following the Second Intifada, Israel built the barrier to protect Israeli civilians from Palestinian terrorism. 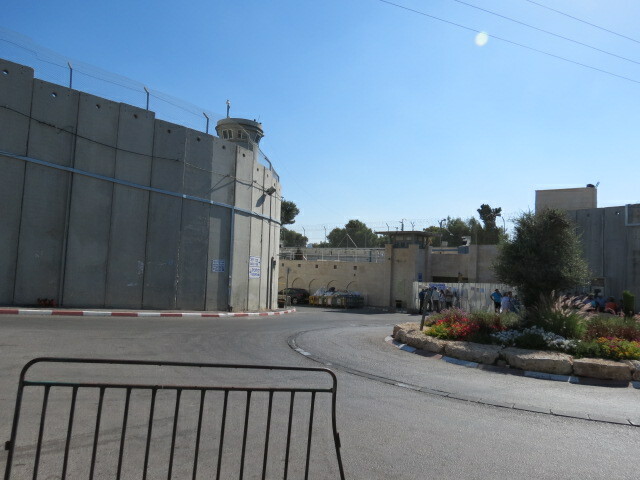 Although 95% of the length of 700 km is just a fence, in Bethlehem there is a high concrete wall. 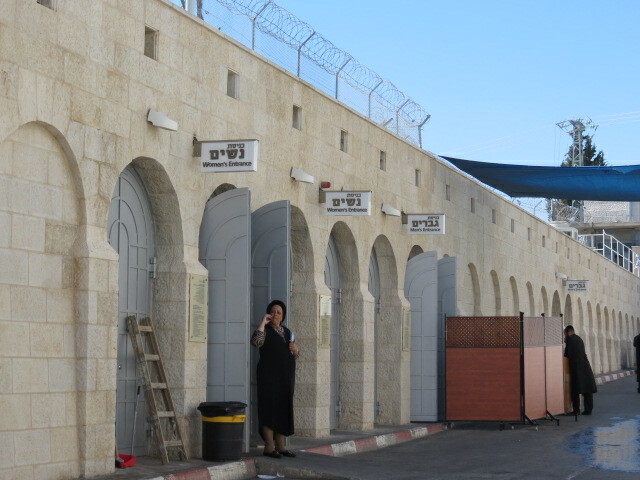 Israelis call it the “security fence” or “anti-terrorist fence” while in Arabic it is called “jidar al-fasl al-‘unsuri” (racial segregation wall). 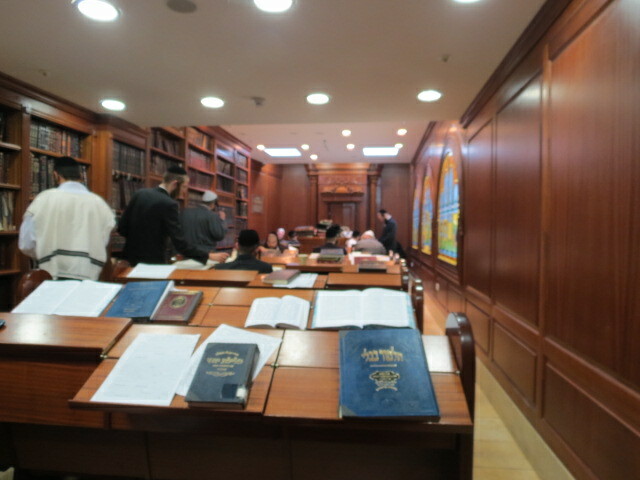 The original small wall was incorporated into the renovations and expansion of the Tomb. Because of all the walls and renovations you cannot recognize the original domed building made famous on the British Mandate currency and stamps. The tomb was entirely restored by Moses Montefiore in 1845. 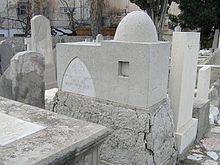 Montefiore’s own tomb, adjacent to the Montefiore synagogue in Ramsgate, England, is a replica of Rachel’s Tomb. Previous Which Language is Correct?